Being prepared to respond to injury or trauma takes on a serious role in anyones plans, perhaps the most serious thing needed to be done. For serious prepping, you need serious medical gear, the kind of medical gear which can save a life in a moment. 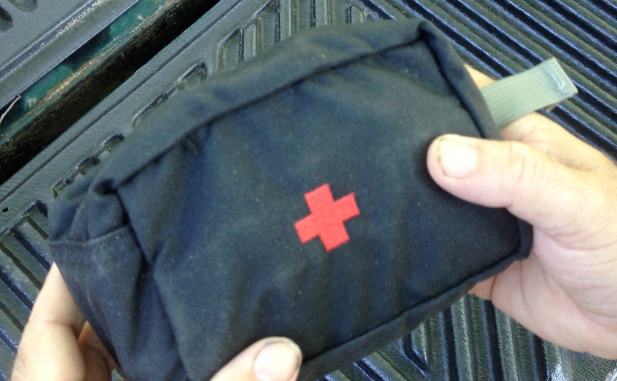 For the general public, store-bought First Aid Kits are a good choice for skinned knees & cut fingers, but not the serious choice for life threatening wounds, burns or physical trauma which can quickly lead to a terminal condition if swift medical attention isn’t rendered quickly & effectively. 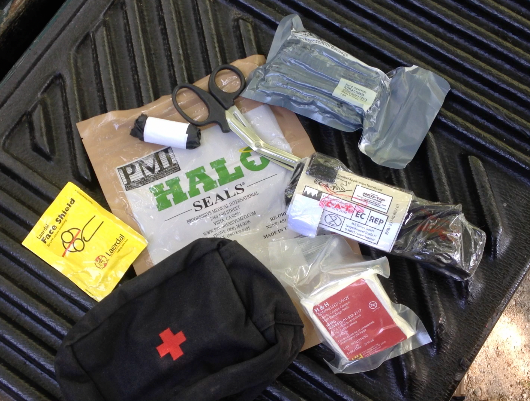 For this you need professional trauma gear, the kind found in a Combat Medic’s Aid Kit, an EMS first responders Go-kit, or gear you’ll find in use by law enforcement out on patrol. That’s exactly what Officer Survival Initiative, (OSI) offers to the general public. OSI is NOT your Momma’s Medicine Chest. 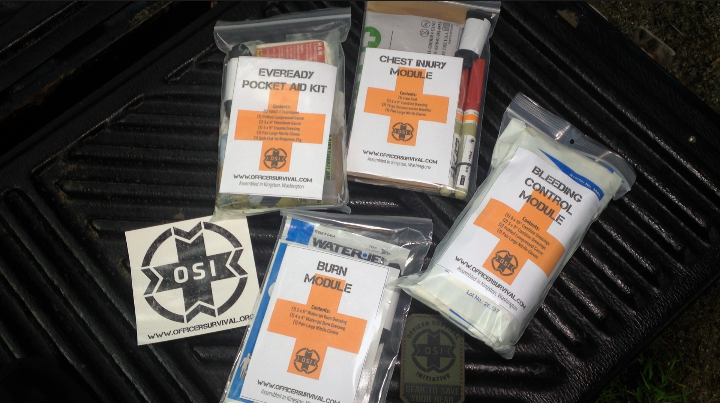 OSI has been a industry leader in offering Medical Trauma Kits for EMS/Fire, Law Enforcement & Military Agencies, and recently, offering a specialized product line to the public. Now you have available a line of Medical Supplies suitable for giving aid on a Battlefield, in a Natural Disaster, or on a Beat. Got Trauma? OSI gear DELIVERS! Are you assembling a custom BOB, or have tactical plans that demand specialized medical supplies? 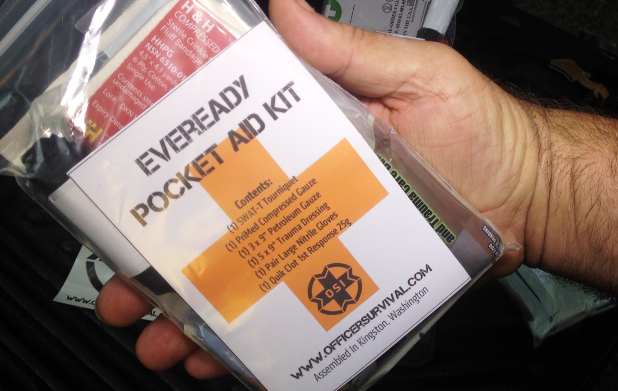 Look no further than OSI’s line of Specalized Trauma Aid Modules. Choose from Module Kits covering Bandages &Dressing Care, Serious Bleeding, Chest Injury, even Pandemic & Disaster Personal Protection Gear. Compact & specialized, each module allows you to mix & match your own selection, based on YOUR needs, no longer having to get gear you DON’T need, just to get the gear you DO. OSI also offers customized Module Packaging on a per client basis. Contact them direct, they’ll build up modules at your direction. In the real world, the place we all are most exposed to traumatic injury is behind the wheel of an automobile. Imagine how important it is to have medical gear that can treat injuries moments after an accident, not several minutes before Police or EMS can arrive. That’s why OSI has introduced the Advantage II Personal Vehicle Aid Kit. With trauma injuries, stabilizing a victims burn & bleeding injuries is critical. Punctures need to be plugged, bleeding stopped, burns dressed & treated. Advantage II covers all that in SPADES! The Advantage II includes a sturdy Velcro Harness to attach to the back of any vehicle headrest, out of the way, yet fully accessible. 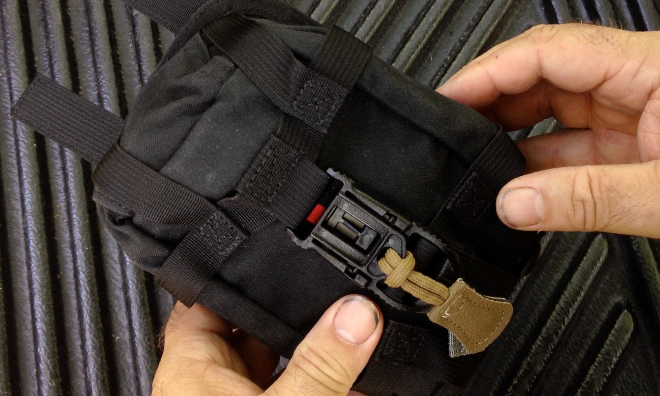 OSI also offers a MOLLE harness for mounting the Advantage II to any MOLLE equipped pack or bag. If it burns, oozes, or bleeds, the Advantage II can treat it, stabilizing the victim until help arrives, which may be all the difference between dealing with a trauma survivor… or a trauma casualty. 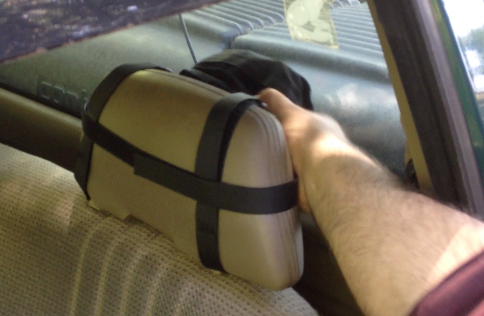 After reviewing the Advantage II, it’s now taken a permanent place on the back of the headrest of my daily commuter, and the store-bought First Aid Kit, with the band-aids & roll of gauze, is back in the medicine chest. OSI has the gear to save your rear!